As an important part of a long-term primary care and preventive health initiative, Virtue volunteers Dr. Nonkulie Dladla, Director of the Park Slope Family Health Clinic, and Dr. Karyn Singer, resident physician at NYU’s Bellevue Hospital, traveled to the rural community of Caluco, El Salvador in May 2011 to conduct in-depth community needs assessments and educational trainings of local medical professionals. “Our incredibly motivated and capable local partners worked tirelessly with us to ensure successful project implementation on all fronts,” commented Dr. Dladla. Specifically, Drs. Dladla and Singer implemented Virtue Foundation’s month-long focus group study of community perceptions and knowledge of various health topics, including non-communicable diseases, environmental health, and local healthcare service delivery in order to assess community health needs and plan future projects. Additionally, they led four educational trainings focused on hypertension, basic life support, and asthma, training more than 60 local doctors, nurses and health promoters who provide primary and preventive health care to the Caluco community. 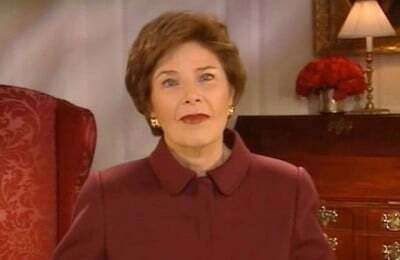 In addition to implementing long-term, sustainable healthcare solutions, Virtue Foundation, in partnership with the Fundación Salvadoreña para el Desarollo Económico y Social (FUSADES), is designing and delivering a mobile health clinic to the local health center in Caluco toward developing innovative, effective ways to deliver primary care to rural villagers. 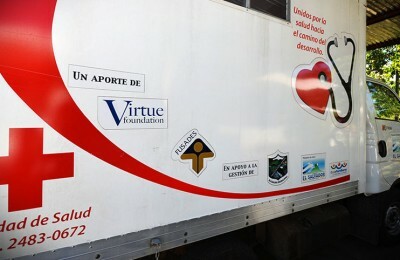 Moreover, given the lack of necessary medical equipment and supplies in the region, Virtue Foundation in partnership with 911 Fund, is delivering nearly $50,000 worth of new medical equipment and supplies to Caluco’s health center, health centers of other surrounding communities, and the regional hospital in Sonsonate. Finally, in line with our strong commitment to women’s empowerment and leadership, Virtue Foundation is assembling a participatory advisory committee of women community leaders who will assist us with project implementation, evaluation, and monitoring. 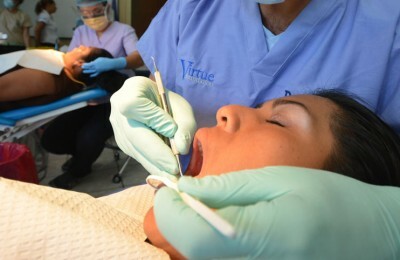 In November 2012, a team of dentists and dental assistants led by Dr. Shane Nazeri and Dr. Michael Reshad traveled to Caluco, El Salvador to provide critical dental care and educational opportunities to local professionals on the ground. In collaboration with FUSADES and the local Mayor’s office of Caluco, the team was able to treat more than 40 patients in three days. 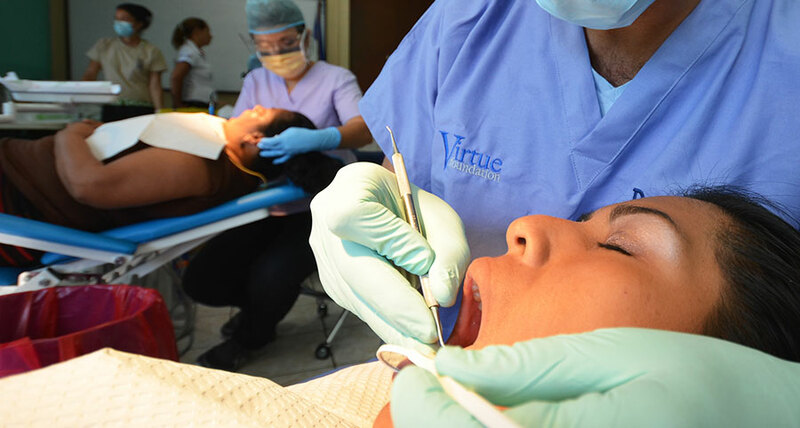 In addition, Virtue Foundation donated more than $10,000.00 USD worth of equipment and supplies to the community to ensure that local professionals could continue to provide essential dental health care to the population.